The first pass – its sound, its concussive effect – was startling. It was clocked at 554.69 mph. 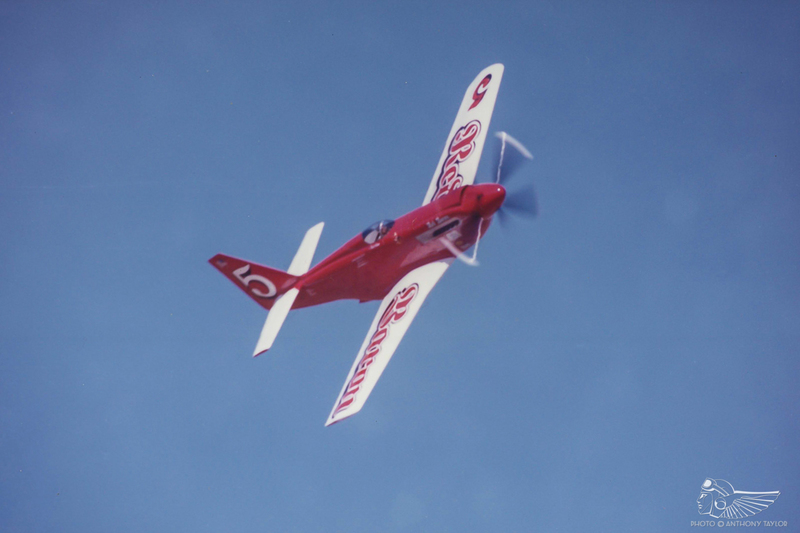 Steven Hinton’s first pass through the three-kilometre timing course, in an attempt to set a new C1-e speed record for piston-engine, propeller-driven aircraft, took all of 12 seconds. After the exit point, ‘Stevo’ – as he’s called by friends and fans to differentiate between he and his famous father of the same name – began his carefully planned course reversal. Hinton Sr. had set the same record 38 years ago. 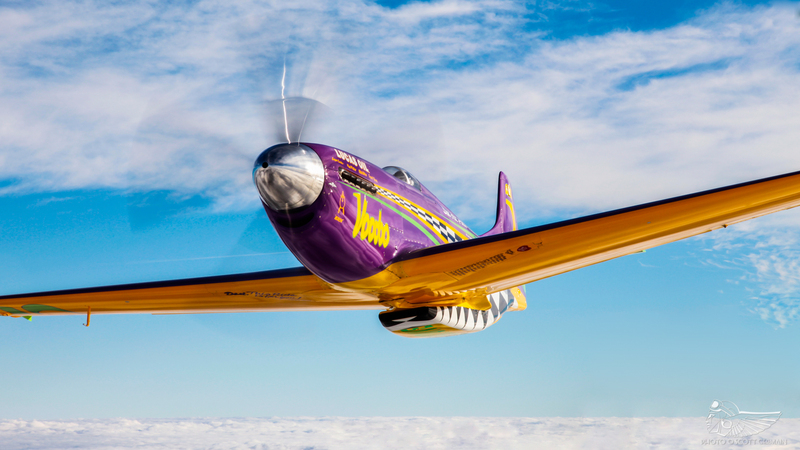 Stevo was piloting Voodoo, Bob Button’s ultra-modified P-51 Mustang racer. It’s former purple, orange and green paint scheme had given way to a gleaming overall white. Under the strain of full throttle, that white was growing a burnt brown exhaust streak behind the exhaust stacks. Worse, oil was coating the fuselage aft of the breather vents at the wing’s trailing edge. Would the raging little V-12 Merlin last four passes? Speed has always been a worthy pursuit of mankind. As new limits were reached, the next hurdles were studied, understood, and overcome. New ideas, better materials, new fuels, and new methods of propulsion accelerated mankind’s pursuit. Props, jets, and rockets ultimately pushed velocities past Mach 6. But old-school pilots, guys with 60-weight oil under their fingernails, guys whose opinions matter, consider the 3kM piston-engine, propeller-driven record as the holy grail of aviation speed. The old record of 528 mph, set by Lyle Shelton in 1989, would be difficult to surpass under any circumstances. 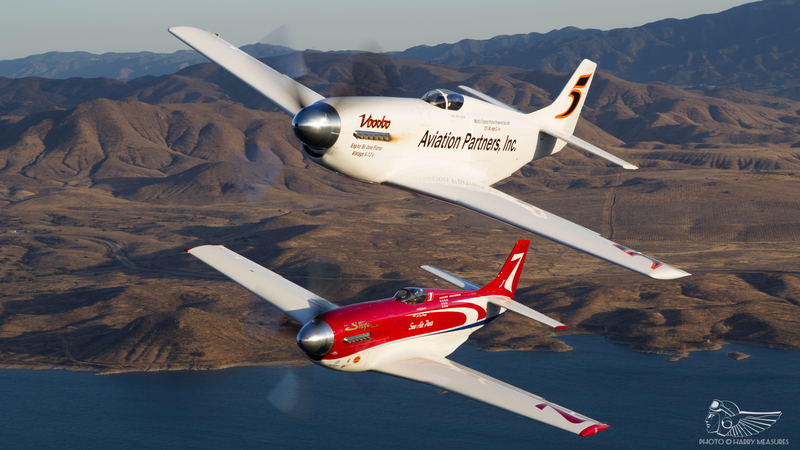 The only capable airplanes left are two or three unlimited racers at Reno. Their era is quickly drawing to a close; cost, parts, and expertise are at the wrong ends of too high or too low. Even if you get a once-in-a-lifetime mixture of the right owner, pilot, aircraft, crew, engine, and luck – it’s nearly impossible. Stevo’s desire to break the record started as a child. “One day I found a trophy in the attic. My dad set the absolute 3 kM speed record in 1979 flying The Red Baron,” he said. The trophy, which memorialised dad’s achievement, struck a chord in the son and lit his desire. Maybe one day he’d also set a speed record. That speed record. He kept the old trophy on a shelf in his bedroom, where it served as a daily motivator for a lofty, almost impossible goal. That 1979 Red Baron record was hard fought. The highly-modified RB-51 Mustang sported a much larger Rolls Royce V-12 Griffon engine and contra-rotating propellers. Sporting the usual racing modifications – clipped wings, cut-down canopy, and a larger vertical tail – the red-and-white racer was a top contender at Reno in the late 1970s.  The first Griffon blew, and the crew scrambled to install and test the backup engine before the sanction ran out. When the aircraft was ready again, the weather became a problem – For maximum speed, airplanes like the Mustang perform best in thin air at high altitudes. This less dense air nets a higher true airspeed, the actual speed an aircraft moves through the atmosphere. High ambient temperature offers additional help for the same reason; hot air is less dense. The reverse is true when it comes to the engine; less dense air means the engine will generate less horsepower. Fortunately, the supercharger in racing-modified V-12s can produce wild amounts of boost, up to 140 inches of manifold pressure. This leads to another problem; compressional heating of the induction charge generates too much heat, way over the accepted limited of 85C. The fix? Massive amounts of ADI, a 50/50 mix of distilled water and methanol, are injected into the engine’s intake, cooling the intake charge. 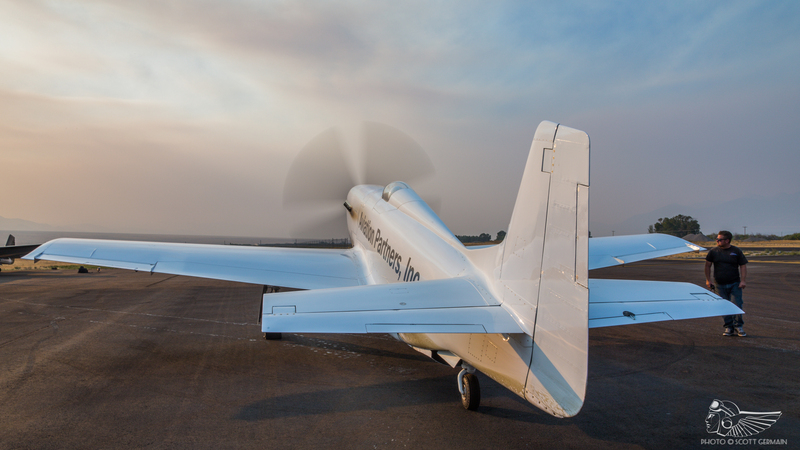 With the weather and aircraft systems set up to work together, record setters always choose a location with a high elevation during summer months. “When we planned the Red Baron record,” Hinton Sr. said, “We researched weather data for our location to find the week with the historically hottest temperatures.” That location, Mud Lake in Nevada, was right next to restricted airspace related to the Tonopah Test Range and Area 51. Normal August temperatures in the desert should have made a 500+ mph record easily attainable. Mother nature had other ideas. “When we arrived,” he said, “The weather turned and the temperature fell to 68 degrees.” Even so, the Red Baron’s four passes averaged 499.04 mph and easily broke the existing record. But they wanted that magic 500+ mark. “The low temperature was the only thing that kept us from going over 500,” Hinton said. Darryl Greenamyer held the previous record set at 483.04 mph in 1969. His Bearcat, named Conquest One, was a Reno dominator in the early 1960s. Before that, German Fritz Wendel set the record in 1939; he flew the specialised Me-209 to an impressive average of 469.221 mph. The Red Baron’s 499 mph stood until 1989, when Lyle Shelton smashed the record in Rare Bear at a stunning 528.329 mph. The massive racer, built from a wreck, had been perfected over two decades of racing at Reno. Some thought his speed would never be beaten. Under the old rules – under any rules – nobody beat Shelton’s record by the necessary one percent. That was about to change. Since then, the Fédération Aéronautique Internationale – the body governing all worldwide aviation records – changed the rules. They hoped to inspire more record attempt participation, so they divided speed records into weight categories. An aircraft’s gross takeoff weight determined which class a new record was set in. You could fly a P-51, an RV-8, or a DC-7; everyone had an opportunity to set a speed record for their aircraft’s weight class. Previous rules also recognised an absolute aspect to speed records; there could only be one fastest piston-engine, propeller-driven aircraft – regardless of size, weight, or number of engines. That provision was removed during the revamp. Under the new rules, modified racers like the Mustang and Bearcat fell under class C-1e, aircraft weighing between 3,000 and 6,000 kilograms. 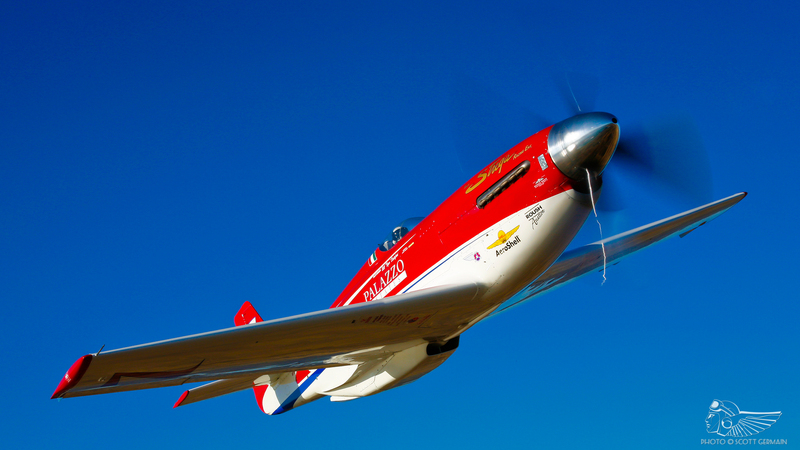 They’re still the fastest piston engine propeller-driven aircraft ever, a natural choice for new attempts. The new rules, for all intents and purposes, meant Shelton’s record had been retired. Technically, it couldn’t be broken. Will Whiteside set the first record set under the new system. 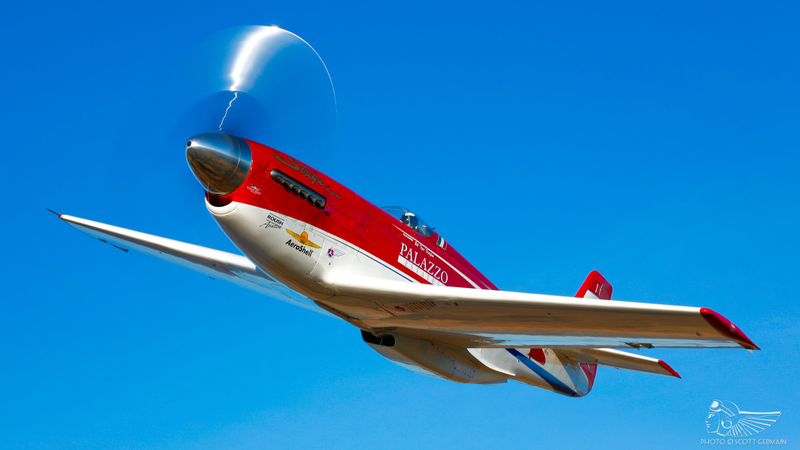 Flying his modified Yak-11 Steadfast, he reset the bar at 416 mph. It was a great speed for a Yak, but nowhere near what racers like Rare Bear and the current Strega were capable of. Topping 416 would be easy. And if he ever got the chance, young Stevo’s aim was way higher. Would his life’s path steer him in the right direction? Hinton literally grew up at the Planes of Fame air museum, alongside his dad, uncle, and the extended family that works there. He thrived in the environment, and what aviation-minded lad wouldn’t? He started by playing on the airplanes, his own personal aviation playground. Then he swept the floors, emptied the trash, and started washing airplanes. As he grew up, he gradually started working on them and learning how to fly. It was a wonderful, rare, and immersive aviation education. After earning his pilot license, he began flying more complex aircraft. The Stearman, AT-6, and then the Mustang came quickly – all in a natural progression. His skill, attitude, and access meant he could go as far as his talent would take him. As he gained experience, his logbook filled with Yak, Thunderbolt, Bearcat, and other exotic types. Hinton never thought about pursuing other careers, either. He’d set specific goals within the aviation and the warbird worlds and took off after them. “I had a path in mind for my future. I didn’t spend time wondering what I wanted to do, so I was able to focus and begin honing my skills,” he said. With so much air racing influence around him, it’s no surprise Stevo gravitated towards the sport. He started working on the Strega crew, Bill ‘Tiger’ Destefani’s hotrod champion Mustang. The racer and its colorful owner further fueled the boy’s imagination and drive. After several years on the team, Hinton’s flight and mechanical experience lead him to the cockpit of that very aircraft. And he won! Then he won again… It was no fluke; Hinton spent considerable time studying cockpit footage from Reno, months working on Strega and its racing Merlin, and countless hours being mentored by Tiger, crew chief LD Hughes, as well as Hinton Sr.
He’d pretty much earned a Master’s degree in the art of racing, and it showed. Hinton absorbed it all and became a unique force, not only on the team, but within the sport. 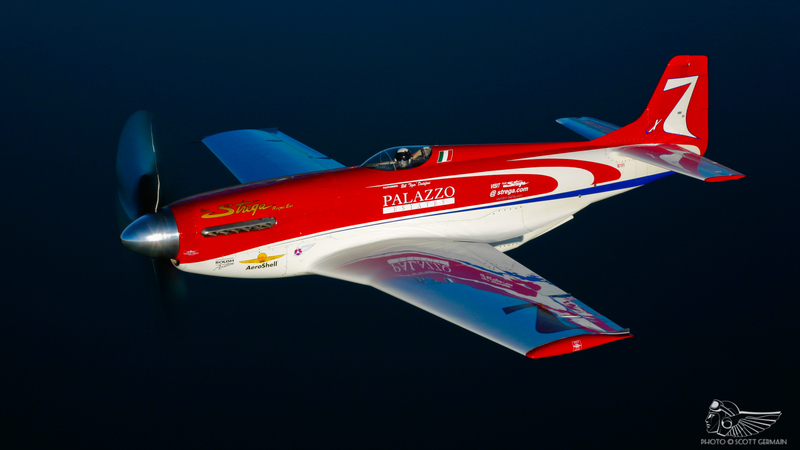 In total, he won the unlimited championship four times in Strega – and made it look easy. The era was a perfect mixture of youthful energy, drive, dedication, and preparation. Hinton excelled, his universe growing by leaps and bounds. After Strega, Hinton switched to Voodoo, a competitor Mustang racer that always held promise but always came up short. Their program needed a kick to the next level – the winning level. Hinton, naturally, became a driving and relentless force to make that happen. There was a lot of work to do. Although fast, Hinton found Voodoo had nowhere near Strega’s capability. “The airplane was a real mess when I came on the team in 2013. It flew horrible,” Hinton said. With a short-term goal of winning Reno, they needed a Strega-level airplane in order to beat Strega. There was early talk about a speed record, but until Voodoo matched Strega, they wouldn’t even consider it. And he would know… Hinton understood Strega on a DNA level. The racer represented the standard by which all others would be measured. The airplane had been perfected over 30 years of racing, and was the gold standard. As they improved Voodoo, Hinton could quantitatively measure its performance and characteristics during test flights and races. He was judge and jury when it came to Voodoo’s advances. Reno 2013 was a good year for the the team; Hinton won the gold race at a respectful 482.074 mph against Matt Jackson, playing catch-up in Strega. It was a great inaugural win for the team, and it proved the racer was headed in the right direction. Their success continued with a win at Reno 2014, but Strega was absent that year. Going into 2015, Voodoo received major modifications in the quest for more speed. The team went all-out, making a number of big modifications at the same time. Normally, a team would make one modification at a time, measure it’s effect during flight test, and quantify the results. This way, they know what they gained from the specific change. Knowing how Strega was set up, Hinton favored doing all the work at once. The Voodoo team would basically copy Strega’s modifications, because they worked. “We changed the engine’s thrust line and zeroed it to the airframe,” Hinton said. “That had a domino-effect, leading to a handful of other modifications to get everything lined up. We also changed the wing’s incidence and zeroed that to the airframe, much like Strega’s had been. That was another major modification that caused the tail’s incidence, wing fairings, pipes, connections, and a handful of other changes to be made.” The crew also experimented with reflexing the flaps and ailerons, setting their trailing edges higher than normal to reduce drag and wing downwash. They didn’t stop there, either. The new scoop featured a smaller intake and wetted areas, reducing fiction drag and cooling drag. What little air flowed through the scoop was merely a vehicle to carry spraybar water to the face of the heat exchanger. Once the liquid hit the face of the heat exchanger, heat would transfer to the liquid, flash it to steam, and be ejected overboard through the coolant door. The new mods, in aggregate, were never proven at Reno 2015. Engine problems, a new theme plaguing the team, became evident. Voodoo trailed major amounts of smoke and at high power, indicating piston blow-by within the cylinders. There were coolant issues as well – streams of precious coolant turned to vapour as the race wore on. On lap six, the combined problems forced Hinton out of the gold race. The defeat was rather bitter for Hinton. Voodoo won at Reno in 2016, but again, Strega was absent. Hinton didn’t need to use big power in an epic battle against his former ride. Had the engine issues been discovered and fixed, or did the lack of required power continue to mask the problem? Whether or not that was true, Hinton knew the racer had become a reliable winner – and a possible record-breaker. Back when he raced Strega, Hinton had a fleeting chance at setting the speed record. “That’s when I’d met Joe Clark of Aviation Partners,” Hinton said. “He wanted to sponsor Strega for a record attempt, but we couldn’t put it together at the time. Tiger didn’t want to risk his asset for little or no return, which is understandable.” Over the following years, it turns out Clark remained enthusiastic about the idea. Would Hinton and the Voodoo team be interested in going after the record? The answer was yes. Owner Bob Button always thought setting a new speed record would be great, and now he was in a position to do it. Official approval came in late 2016. putting the entire team, and forces elsewhere, into overdrive. A target date was set for July through August, 2017. Hinton was getting his chance. Personally, Stevo was at the top of his game. He’d won Reno seven times in total. He flew consistent, machine-like laps and hit the same piece of sky every time. He mixed an ability to handle mechanical and fabrication work on the airplane while motivating fellow crew members. He was a master tactician at passing on the race course with a controlled, aggressive style. As a pilot, mechanic, and team leader, few would argue that he wasn’t one of the best air racers ever. Voodoo was at its apex, as well, as long as the engine issues were solved. If the engine made power, the racer was on task. Everything was falling into place, the result of years of hard work and lots of determination by the team. Jose Flores owns Vintage V-12s, a top engine shop located in Tehachapi, California. He’s the current guru when it comes to building racing Merlins that will make their rageful power and survive. He’d received Voodoo’s engine after Reno, and was tasked with refreshing it and bringing up to snuff for the record. Hinton only had to beat 416 mph to set a record, but that was child’s play… Voodoo could do it with a stock engine any day. No. He wanted to beat Shelton’s old record by, at the very least, that old-school one-percent. As the sponsor, Clark offered strong support right from the start. He had an idea. “I didn’t want to just throw money at the record,” he said. “Anybody can do that. I wanted to add value.” Clark’s company, Aviation Partner’s, is known for their blended and split winglet designs that make corporate jets and airliners more efficient. 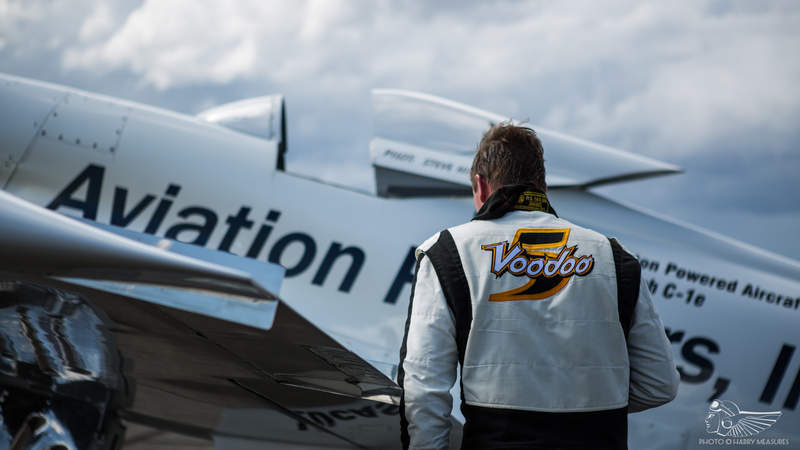 His aerodynamicists and engineers went to work, looking for a way to make Voodoo even faster. 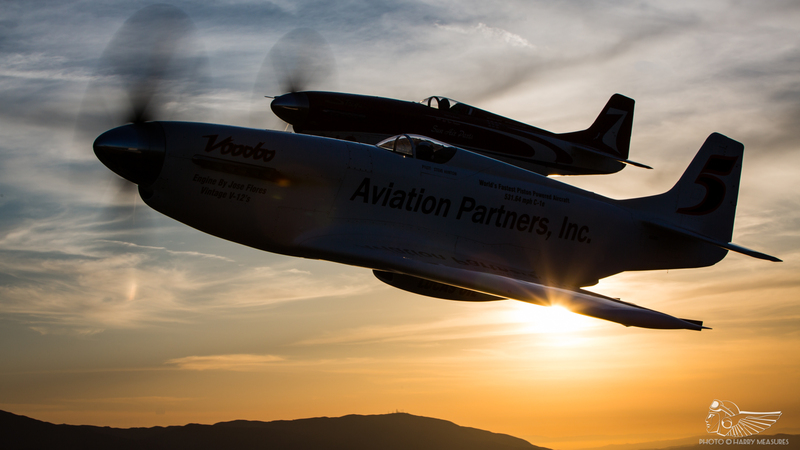 The modification increased Voodoo’s 0.72 critical Mach to 0.76 – a remarkable performance gain. At 7,000 feet, that four-tenths loosely translated to an additional 28 mph on the same horsepower. The severity of the shock from the top inner portion of the wing was reduced, and the shock forming off the bottom of the outer wing was delayed. Final design approval came in February, and parts production began. To produce the most exact airfoil, Voodoo’s beautifully profiled wing was de-mated, stripped to bare metal, then laser mapped. 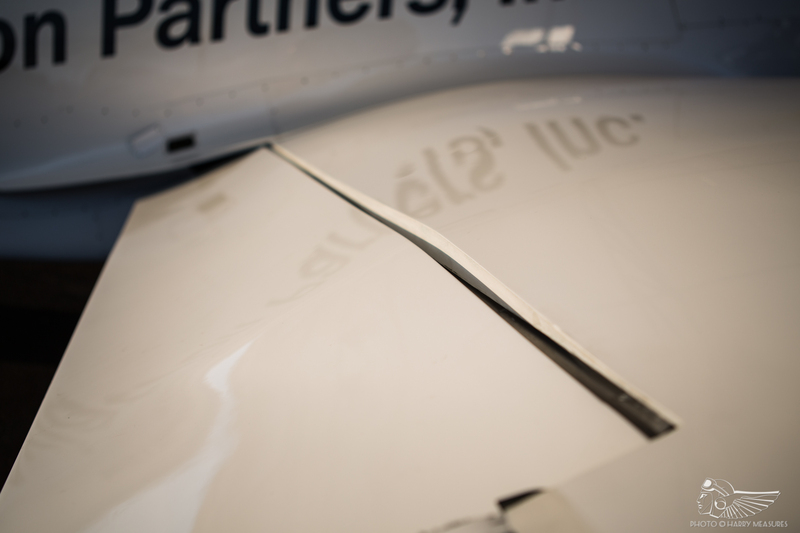 Using the digital data, Aviation Partners milled 35 pieces to form a kind of aerodynamic puzzle. Each piece would be applied to the wing’s surface at a precise location in order to form the new airfoil. On the side that attached to the wing, the pieces were milled to match the surface irregularities of that specific location. The exterior side was milled to the exact aerodynamic shape for the location. As the design and production work occurred, the crew were busy planning. Clark’s private ranch and airstrip in Idaho’s high country was chosen. High summer temperatures and its 7,000 ft. elevation were near optiumum. The sanction had to be applied for and approved, and a thousand other details had to be locked down. A second race engine was sent to Vintage V-12s to be prepared; an insurance policy against problems with the primary engine. The team’s transport rig and trailer was already configured as a workshop, and contained a small meeting area and parts storage. Extra parts, tools, fuel, ADI, and anything else they might need was put on the list to be packed up. As 2017 progressed, production of the foam parts took longer than anticipated, but they finally arrived. 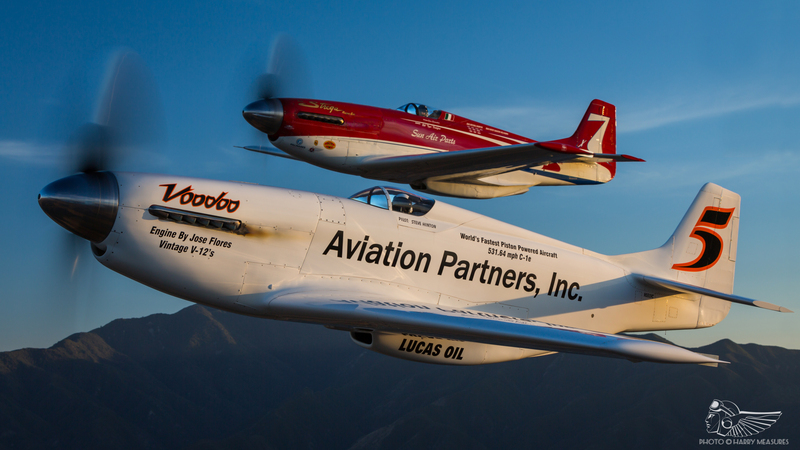 Hinton and teammate BJ Healis spent two weeks of 12 to 14 hour days installing them on Voodoo’s wing. Precise location templates, corrosion-inhibiting adhesive, and rivets were used to attach the pieces. A rotating wing jig made the work infinitely easier; they could work while standing, facing down, not on their backs facing up. 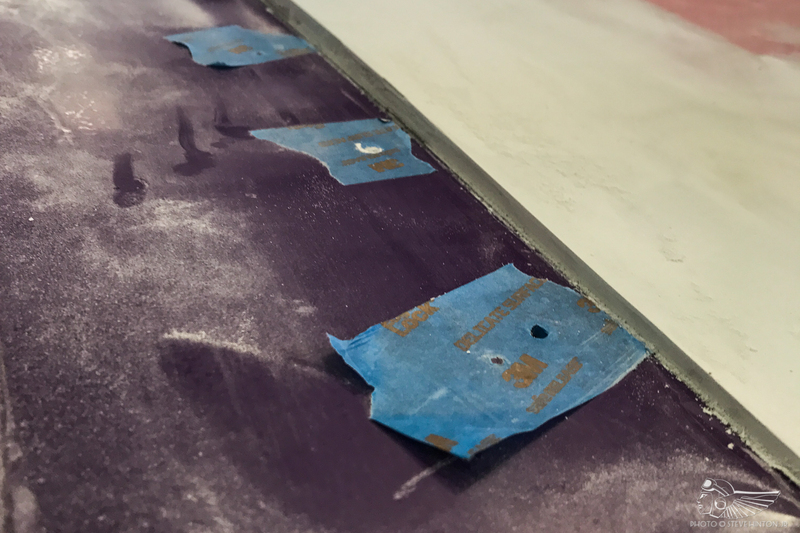 After the final piece was installed, the wing’s new surface was filled and smoothed. The hard part began; hundreds of hours of sanding, refilling, measuring, and more sanding. 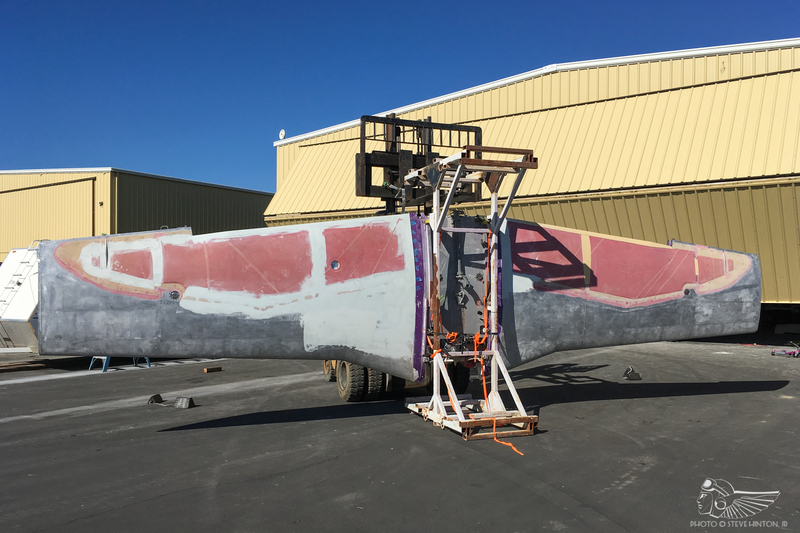 Once complete, the wing was painted, clear-coated, polished, and re-mated to the fuselage. Hinton chose a small crew for the program. Frank Young, a Voodoo crew member from the very first day, knew every nut and bolt of the aircraft. His work ethic was unquestionable. BJ Healis was chosen for his unparalleled ability as an aircraft mechanic and team player. 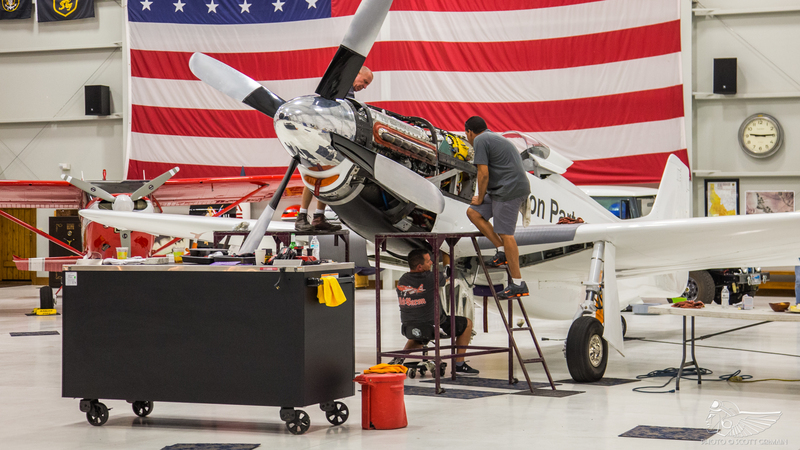 Bernie Vasquez, a warbird and race pilot himself, could handle everything from paint and body work to engine work to manning the crew radio and telemetry. Andy Chiavetta, who has raced with Greenamyer in the sport class, also pitched in. Ben Marsh had worked on Voodoo’s wing the last time it was profiled. 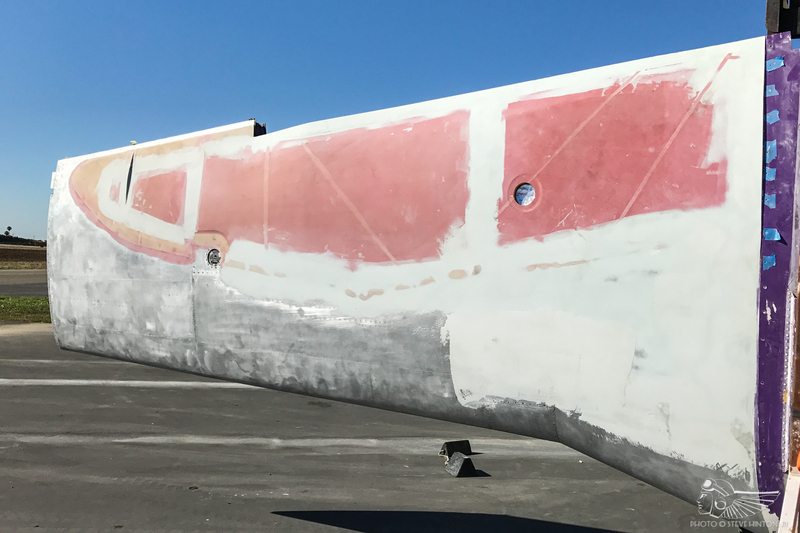 This time, he spent more grueling hours sanding, honing, and polishing the wing. Cory O’Bryan rounded out the tribe; his formidable skill set kept him busy marking the course, setting guide lights, and working on various parts of the aircraft. These men formed a tightly knit, highly focused, single-vision team. Each could handle a wide variety of tasks on the airplane. No job was too menial, even sweeping the hangar floor. Different sets of eyes would inspect the work, looking for anything missed, anything loose. They were always checking, always ensuring, and always keeping Stevo’s safety their primary concern. After the go decision, the program had gone silent. There were no social media announcements, and those in the know kept the secret. The team didn’t want the spotlight, or for a flood of attention taking time and effort away from the work. When Voodoo was complete, she emerged from her Yolo airport hangar where the crew took a few cell phone pictures. She’d been finished in pure white, a stark contrast to the purple scheme she’d worn for years. When the team finally posted internet photos, the reaction from fans caused their own shock waves. The white scheme honoured Clark’s friend, Chuck Lyford, an aircraft, boat, and car racer active from the 1960s on. 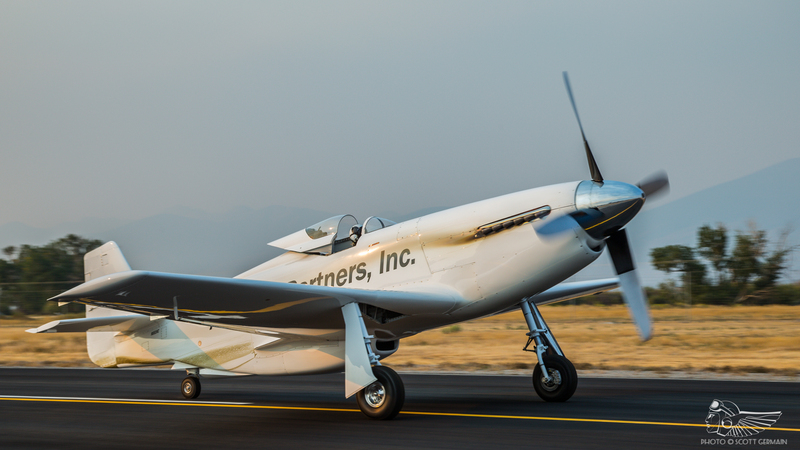 Lyford had raced his white P-51 in the 1960s, and was an early adopter of airframe modifications and more powerful engines at Reno. At the age of 75, he died from injuries suffered in a vintage race car wreck in June. Recognising Lyford’s vigour and sense of adventure and the parallel to the speed record, Clark requested the white scheme to honour his friend. The delays caused the late July window slip to the last days of August. 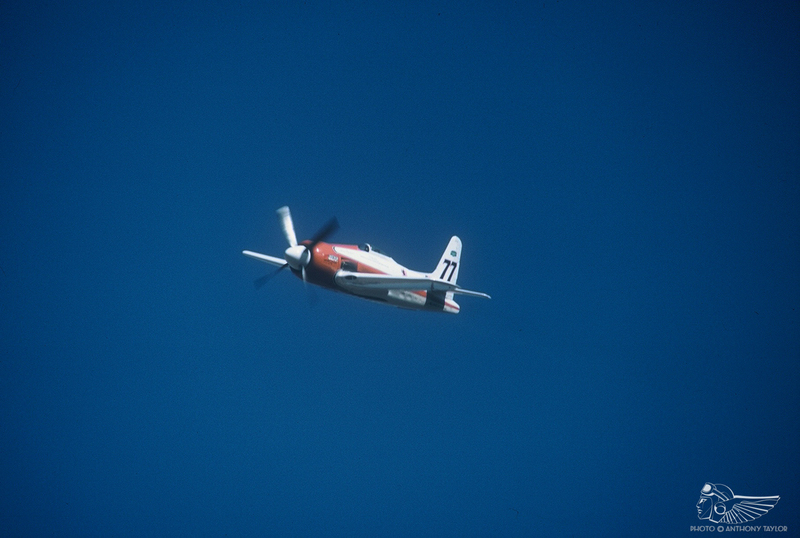 This compressed the record attempt against the Reno air races held a week and a half later. The crew previously decided to concentrate solely on the speed record; if they didn’t blow both engines, they’d discuss racing at Reno. Once at Clark’s airstrip, the team set up camp, measured and marked the course, and prepared Voodoo for the record flight. Hinton Sr. would be on hand, not to provide any guidance to his son, but to pilot a specially equipped T-33 with a new gyro-stabilised camera system from Pursuit Aviation. The hope was to capture the speed record flight for the history books. Of course, having dad airborne if something went wrong wouldn’t be bad, either. The nine months leading up to the attempt was non-stop work for the entire crew, but especially for Stevo. He hadn’t been home in months, and was living and breathing Voodoo every day. Upon arrival in Idaho, he was running on a combination of drive, ambition, and adrenaline. His enthusiastic, friendly, and focused demeanour hid his exhaustion. He’d managed almost every aspect of the operation, but his fingerprints were also on every part of the airplane. Once on site, he was checking Merlin Fingers within the engine’s valve train; the custom rocker arms with stellite pads that can develop tiny cracks at race power. The next hour he might be juicing the high-octane racing gas with liquid manganese, or inspecting the course from a helicopter to pick out landmarks. He spent a considerable amount of time with Paulo Iscold, a Brazilian aeronautical engineer specialising in finding ways to maximise aircraft performance. The two discussed course entry and course reversals, two of the controllable manoeuvres that would impact the average speed. 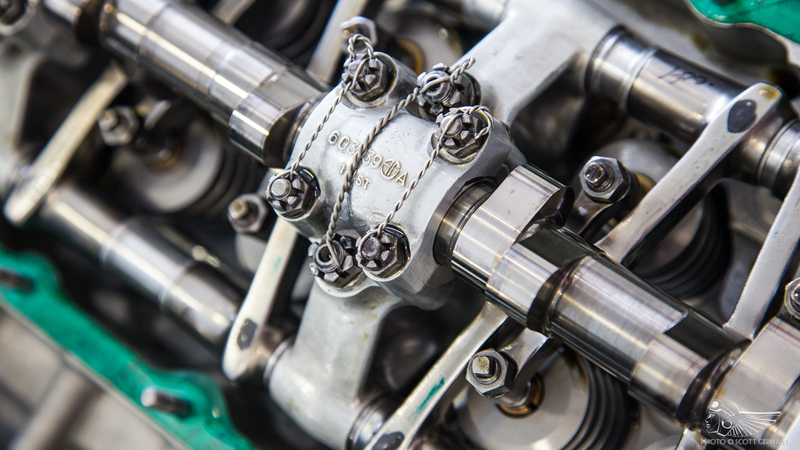 From parts to systems interaction to piloting to people, Hinton knew every nook and cranny of the operation. A major problem became apparent upon arrival; smoke from numerous wildfires in the Pacific Northwest fouled the air with three-mile visibility. With realistic speeds around 540 mph, Hinton would be flying at 792 feet per second. He’d need all of the flight visibility he could get, but the skies weren’t cooperating. It would be a thorn in his side the entire time. The next issue surfaced. Hinton took off and made two maximum power passes to measure how much fuel and ADI were consumed. There had to be enough fuel at race power for the flight plus some reserve. The ADI was equally important – even a half-second interruption of flow would lead to instant engine failure. After landing, the crew measured how much was left in the tanks. The news wasn’t good. The engine was flowing too much fuel. So much, in fact, the airplane couldn’t carry enough for the entire flight. The crew discussed the problem and focused on a faulty carburettor. A spare was readied, installed, and Hinton took off to test it at high power. As he brought the throttle up through 100 inches of manifold pressure, the engine violently sneezed. This is a polite way of saying the engine got confused as to which way the fuel/air charge was supposed to flow, and the whole thing nearly blew up. A mighty jolt to the airframe was accompanied by belches of smoke out of both sides of the engine. Hinton immediately brought the power back and arced to a safe landing. Tension was high. The visibility and carb problem were strikes one and two, but the engine backfire was serious. The engine could be damaged so much the untested backup engine might have to be used. It was an unknown, though. It could be better, worse, or have its own issues. Stress and exhaustion were mounting. Hinton walked a delicate balance between keeping it together and venting his frustration. Did Greenamyer go through this? Did his dad have these issues? How about Shelton? Were these hurdles par for the course, or was the Voodoo team having it rough? Hinton explained the engine backfire to a few bystanders as the crew began to inspect the engine and screens. Once they knew something, they’d make a plan. As he walked away to help the crew, he fired off a frustrated expletive aimed at no one in particular. They found the problem. “A valve seat moved around, most likely because the metal in the head was soft,” Hinton said. The seat hindered valve movement, and that in turn disrupted the induction flow, causing the backfire. Amazingly, the engine wasn’t damaged and the oil screens were clean. Should they fix this engine or install the backup? It was a gamble they couldn’t afford to lose. After a phone conference with Flores, they removed the offending B bank and flew it to his shop for repair. The team was sticking with bullet number one – at least they knew what they had. Three days were lost, and August ended when the repaired bank was installed and ready. A new specter had formed; the warm weather was forecast to change considerably over the next several days. Idaho’s summer was at an end, and Voodoo’s attempt window was closing for good. Three mile visibility be damned, it was now or never. September 2 dawned with skies still afoul with smoke. Mountains three miles away were barely visible from the runway, and that was down sun. Up-sun visibility was worse. Hinton would have to make the best of poor conditions, an engine that let him down once, and time that had run out. With his fiancé, Jane, at his side, Hinton walked out to Voodoo in the smokey afternoon sun. 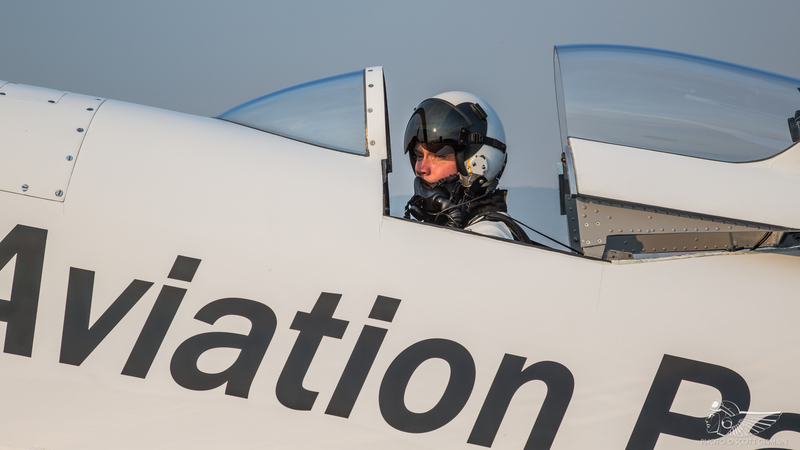 Cockpit video cameras and the FAI’s tracking equipment was turned on, and after a few fist-bumps with the crew, Hinton climbed into Voodoo’s cockpit to begin his methodical strap-in routine… Belts secured and tight, helmet on, check oxygen and comm connections, gloves on, and run the before start check… “Clear!” After two blades, the repaired Merlin fired to life, and Voodoo taxied out for takeoff. Hinton was transmitting to Vasquez over the radio from the end of the runway. He was Hinton’s second set of eyes and confidant, a sort of mission control. The telemetry screen in front of Vasquez showed Voodoo’s vital signs in real time. The two had developed a curt and effective communications style of short exchanges of information and agreement or needed changes. His run-up complete, he keyed the mic and let the crew know all was good. Hinton lined up on the runway and pushed the throttle forward to began his takeoff roll. “Got it,” Hinton said immediately. These exchanges continued the entire flight; two experienced teammates working together towards perfection. Voodoo wailed by centre field, gently left the ground, folded it’s landing gear, and banked downwind to begin the attempt. The Merlin’s sound trailed off into a muted buzz somewhere in the orange, smokey sky. It was just a tiny white dot shimmering in the heat haze, then it sprouted tiny little wings. The meaty rasp of the prop grew and announced a sudden blur of white. Then, a violent crescendo in passing. The prop sounded much louder than Reno, its sound replaced by the waning, straining rage of engine exhaust. After a second the Merlin’s war song faded to the west. In Voodoo’s cockpit, Hinton saw the guide lights, the runway, blurs of colour from 50 feet above the ground, and the precious engine vitals on the instruments before him. He was constantly tweaking the ADI tweedle valve, an actual valve on the panel that fine-tunes the amount of water/methanol flowing to the engine. The workload was high; any change in power, speed, or altitude required a small ADI change to be made. It was a never ending and always changing balance between dialling to maintain correct induction temperature and the engine’s destruction. After the pass, Voodoo banked right to perform the turn-around, a 2.5g manoeuvre designed to balance scrubbing speed versus taking too much time, fuel, and ADI. It, too, was a delicate act. With his altimeter and vertical speed needles bouncing wildly at the extreme airspeed, Hinton had to somehow make sense of their readings and stay within 1,500 feet of the ground. The second pass was noticeably slower at 527.34 mph, but still amazing. The effect of the entry dive had worn off. The third, at 528.48 mph, then another fade of ungodly engine howl to the west. The crew watched through binoculars; they saw the oil. They saw the massive streaks of exhaust staining the fuselage sides. Back in the cockpit, Hinton knew from the very start the engine wasn’t making the required power. The manifold pressure gauge only read 117 inches – it should be 130 or more. Would it be enough? During the third pass, Hinton caught the oil pressure dropping from 120 lbs. to 70 lbs. This was alarming; a sign the engine was failing. Vasquez came over the radio a second later with the same bad news. “I see it,” Hinton transmitted. Should he continue the run and hope the engine stays together, or reduce power and land? If he pulled out and landed, what would he owe and to whom? Would the months of work come to nothing? What face would appear in the mirror at the end of the day? If he pulled up now, there wouldn’t be enough time to try again. It was all or nothing, glory or failure. Hedging the risky bet, Stevo completed the third pass and made a harried reversal for the fourth and final run. 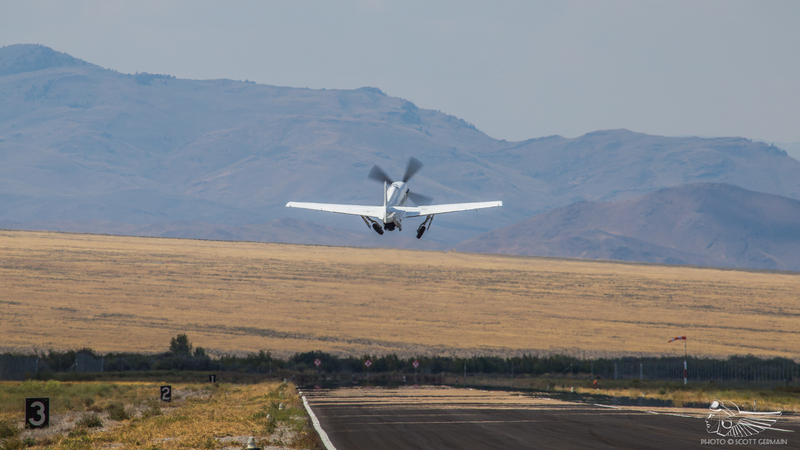 Instead of the 2.5g turn, he banked steeply and pulled 4.5g to head back towards the runway. If the engine did quit – or worse – it blew up and the prop went flat, at least he’d be pointed at the runway. The higher g turn scrubbed off a lot more speed; that would hurt the average. The wailing white dot to the west grew into an airplane again as he lined up for the last pass. Hinton and Voodoo flashed over the runway one final time, and Vasquez keyed his mic so Stevo could hear the magnificent sound for himself. “Thanks for that,” Hinton replied. Failing engine and all, Voodoo clocked at 515.62 mph on the final pass. Man and machine clawed into the heavens and the relative safety of the sky. Converting excess speed into life-saving altitude, Hinton kept his pattern close to the runway. After running full power for so long, the bludgeoned engine owed nothing more. At reduced power on, it was actually hard to tell if it was still running. Judging his approach, he dropped the gear and a little flap as he turned a high, close-in base. 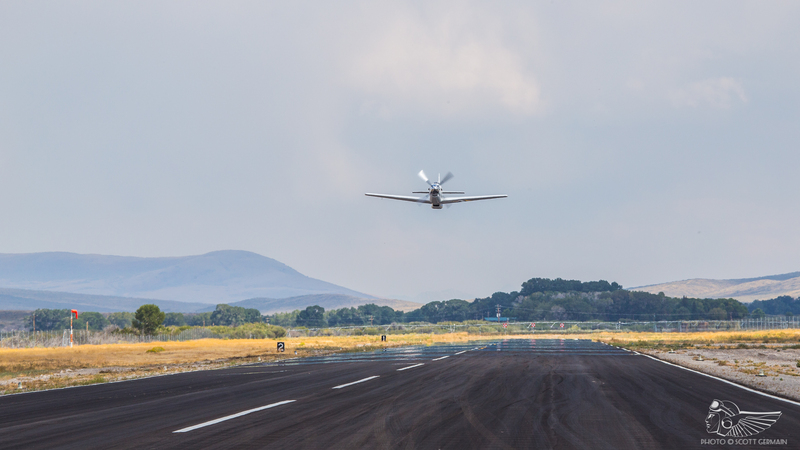 Rounding the corner and nearing the runway, he felt he needed a nudge of power. He pushed the throttle up and nothing happened. He pushed it up some more, and still nothing happened. Then came one final burst of powerless noise from the engine. The threshold flashed by, the wheels touched, and a stained and streaked Voodoo rolled out on the runway. Stevo was safely on the ground. Voodoo truly looked beat up and spent when she was towed into the hangar, a magnificent centrepiece for a massive achievement. Excitement arced like electricity within the crowd. After a short time, the FAI observer had crunched the preliminary data and approached the crowd. What was the magic number? Before the flight, each crew member wrote down their guess on the record speed. They were informed and fuelled by Hinton’s reports during flight test. Others, outsiders, had their own opinions. Some were based in logic and fact, some on outlandish ideals. Was the record some incredible speed in the 550 mph range? Such a speed would, surely, never be beat. Who could possibly challenge that mark? Would it be 540 mph, a solid 12 mph faster than Shelton? Was it some embarrassing speed, unworthy of the effort put forth? The FAI representative’s announcement came; poorly chosen wording gave the impression Hinton had not set a new record, but there was some mention of 531 mph. The crowd deflated. They were confused. What just happened? The electricity and excitement instantly evaporated. Hinton, Clark and Button joined the official to have a better explanation. After a short conversation, Button used his outside voice to brashly correct the matter and save the day. His booming voice filled the hangar. It was true on all counts; Hinton shattered the 416 mph record at 531.53 mph, later revised to an exact 531.64 mph. The official, knowing Hinton wanted to beat Shelton’s 528 mph by one percent, made it sound as if a new record hadn’t been set. Unfortunately, the moment of triumph and elation was stolen for Hinton and all present. 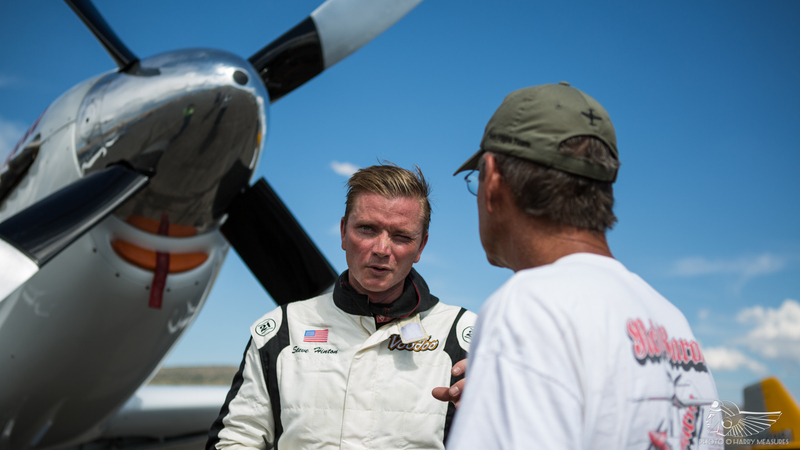 Initial disappointment aside, Hinton and the Voodoo team owned the C-1e class speed record. And technically, they did go faster than Shelton, just not by one percent. Voodoo was just two miles-per-hour off that pace, dying engine and all, but still faster than 528. Was Hinton disappointed? Obviously and to a great degree. The effort the team invested didn’t net a commensurate return. Setting the record was great, but really wanted to beat the old mark by at least one-percent. The new record, however, brings up some interesting points. 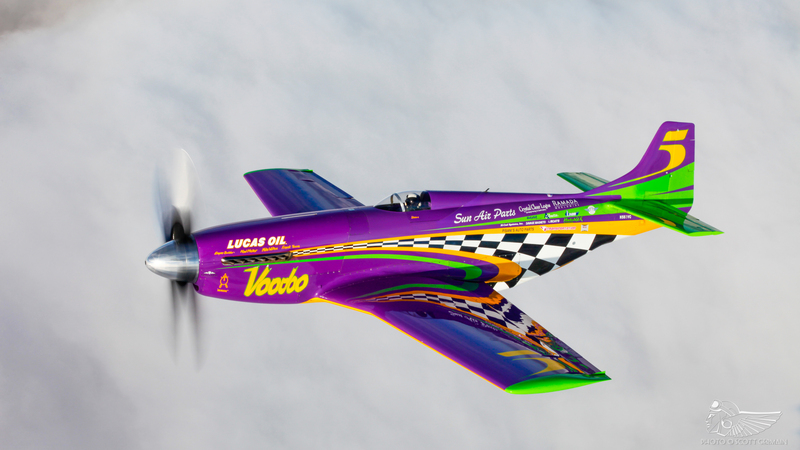 Voodoo’s Merlin only displaces 1,650 cubic-inches. Previous record-holding aircraft used larger displacement engines; the R-2800, the 2,240 cubic-inch Griffon, and the R-3350. That makes Hinton’s record, with a sick, failing little engine much more remarkable. What if the Merlin made 130 inches like it was supposed to? Would that have earned a 545 mph record, or more? If the wing modification hadn’t been done, how much slower would the speed have been with the sick engine? A disappointing 505 mph or less? What if the oil pressure didn’t drop, forcing Hinton to turn tighter and lose speed? 540 mph? What if, God forbid, the engine blew up at the farthest point from the airport? Should’ve, could’ve, would’ve… Records are broken based on what happened, not what might have. They’d achieved the the nearly impossible. The mood ebbed and rose. Beer, champagne, and whisky began to flow freely. Voodoo, parked in front of an amazingly large United States flag hung on the wall, basked in the spotlight. The stained, dripping racer, it’s engine spent and no longer whole, was the centre piece as everyone exchanged smiles, laughter, and hugs. Hinton’s smile, the authentic one – the true one – maybe shone a touch brighter than the others. Even though the crew acted as one, all pulling on the same rope with the same drive and goal, it was easy to see why Hinton’s smile had something extra over the others. He was standing with his dad, a man who knew and overcame the very same challenges. His mother stood beside him, as did his fiancé. His family, blood and chosen, surrounded him and painted a remarkable scene. And what were the speeds each crew member guessed? “I thought we’d be somewhere around 545 mph,” O’Bryan lamented. In this modern information era, news of the record instantly spread worldwide via social media. Curiously, a small amount of blowback occurred with the same intensity. Keyboard commandos took the opportunity to opine how the record wasn’t real, all because Hinton hadn’t beat Shelton’s record by one-percent. Hinton was partially right. Setting aside the small percentage of ankle-biter comments, the overwhelming number of congratulatory replies recognised the amazing achievement. The virtual celebration was overwhelmingly positive. As the real celebration continued, a Voodoo crew member used his finger to write a poignant phrase in the engine’s exhaust stain. It was a fitting, true, and simple statement that defined, simplified, and ended the story. Focus should sharpen on the man in the arena; his dirty face, his scratched helmet, his sweaty flight suit, and his exhaust-stained race plane tell a story. The little engine, spent and dead, is cracking and popping as it cools. Oil – engine blood – drips from the cowling of a now historic aircraft onto the pavement. That man, along with his loyal, chosen few, have forever earned their place in the book of records. With thanks to Scott Germain, Anthony Taylor and Steve Hinton, Jr.